"You are an alien... a foreign ambassador"
"You are given the potential and the steps are falling into place...faith"
"You will wait and pray and the prize will be given to you"
"I am chosen - set aside - for all to look upon...to sustain the righteous and give hope to the hearts of the weary"
"You are mine, without me you are nothing"
All points of infinity are focused as they bow to the Almighty. Joe's companymates are pulling some money together to be sure Asher has a good Christmas this year. Dubbed "Operation Santa", we are collecting funds separate from the trust to be sure Asher is not forgotten this Christmas. Additionally, funds will be used to help defray the cost of Joe's funeral arrangements, to include costs for the funeral, reception, and airfare for the family during this difficult time. Donations to this can be made through the website. Second, you can donate to the Joe Houston Memorial Trust. This is a trust set up to benefit Joe's son, Asher. All proceeds will be given to Asher as he gets older. It is being run by his company-mates. Finally, you can donate to the "Remember the Rangers" site. You can donate at www.remembertherangers.com. This trust is equally split between Joe and his co-pilot, LT Bret Miller, and their 3 (between the two of them) children. There, you can also purchase patches specifically dedicated to Joe and Bret. All of those proceeds will go toward the two families as well. How can we ever express our gratitude to all of you who so generously donated your time, resources, equipment, expertise, funds and sweat equity in the search for our son, Joe. We have never experienced such an outpouring of love and support. We were completely overwhelmed with the magnitude of the search experience and seeing so many people come together in unity for a cause greater than themselves. You became family - our family! You are truly appreciated. Thank you to each and every one of you who had a part in any way. The Joe Houston Memorial Trust has been established in loving memory of Lieutenant John J. "Joe" Houston, US Navy, by his close friends and company mates from the 2nd Company, United States Naval Academy , Class of 2002. The expressed purpose is two-fold: First, to provide a solid financial foundation for Joe's son Asher. Secondly, we as a company, as Joe's band of brothers, pledge our steadfast support to the Houston family and to Asher, and to provide a safe haven, financially, physically, emotionally, and spiritually as long as we live. We welcome Asher into our family. We welcome Asher to 2nd Company. We will soon have a website for the Trust set up, which will accept online donations and will feature photos, videos, and memories of our friend, Joe. When it is up and running, we will disseminate that information. We are still working out many of the finer details, but have received an overwhelming response from people who wish to contribute. We are now accepting donations by check, payable to “Joe Houston Memorial Trust” Mail all donations to the attention of Timothy Parlatore at 747 Third Avenue, 20th Floor, New York, NY 10017. We are putting together a storybook for Joe's son, Asher, full of pictures and letters from you! We cannot thank you all enough for your continued support, encouragement, and love through all of this and we want Asher to know how much we love his dad! If you would like to participate in this storybook process, please email a message to JourneyTree@gmail.com with your best memory of Joe or a letter of encouragement. We believe this will be a powerful tool for Asher to know his dad a little bit better. Even if you knew Joe for a short while, send us a message! Even if you didn't know Joe, but participated in this great search for our beloved friend, send us a message! We really cannot thank you enough. The Lord has truly been with us through all of this and we praise God for the memory he blesses us with so we can continue to remember Joe and the incredible father that he was. This morning the divers located Joe's body inside the plane. At the time of the call there was positive identification of the aircraft, but not positive I.D. of the body, but there is no one else it can be. Divers will retrieve the body and take it for autopsy soon. We are grateful to the Lord for lifting our uncertainty and giving us a definite answer. We are thankful to know that Joe has been in the presence of God and cared for these three long weeks. God is good and His mercies endure forever. Be comforted in knowing that Joe lived his life to the fullest for the Lord, and was a man after God's own heart. He laid down his life for his God and country. His life's message was "To God Be the Glory!" May God alone be glorified for everything that has transpired. Joe's life verse: Psalms 37:4 "Delight yourself in the Lord and He will give you the desires of your heart." We treasure your continued prayers for our family. There will be a Navy memorial service Friday, November 20, 2009, at 12 noon at Naval Air Station, Corpus Christi, TX. In lieu of flowers the family is requesting donations to an independent trust fund which is being established for Joe's son, Asher. Please contact Tim Parlatore for information on how to proceed. The divers were able to go down today. The plane has been identified as Joe's. His body is in the cockpit and should be recovered today. It is a blessing to know where he is and that he has been with the Lord these past 3 weeks, not suffering. Please continue to pray for the Houston's, Jenn, and Joe's son. The memorial and donation information is in a previous post. It will be this Friday, the 20th. On October 28, 2009, a T-34C Turbomentor plane carrying Lt. John Joseph Houston and Lt. Bret Travis Miller went missing not far from the Naval Air Station of Corpus Christi, Tx. On Friday evening, the body of Bret Miller was discovered 11 miles northeast of Port Aransas, Tx. 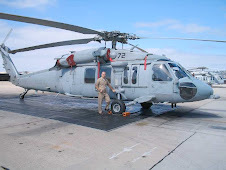 A grueling 3 weeks later, after many land, air, and sea searches, the body of our friend, Lt. Joe Houston, was discovered within the wreckage itself, just a few miles from the coast of Matagorda Island. 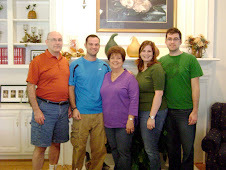 He leaves here on earth a beloved fiancee, a beautiful son, two incredible parents, a brother and sister-in-law. He truly was a young man after the Lord's heart and we are confident that his residence is with the Father in Heaven. Please continue to pray for the Miller family and the Houston family as they deal with these devastating losses. The Houston family is especially grateful to the Navy, Coast Guard, Texas Equusearch and countless individuals in the Civilian Search Team who searched endlessly for our son. Please accept our heartfelt thanks for going above and beyond the call of duty, and for your tremendous expressions of love, support and prayers during this trial. Our hope is in Christ! What does our sin cost us? What does that verse say Christ did for you? What would you need to do to be saved? Is there anything that would keep you from receiving Jesus as Savior today? Jesus, I know I am a sinner and need your forgiveness. I believe you came to die on the cross for me and rose from the dead. Please forgive my sins and give me eternal life. I now turn from my sins and ask you to come into my life as Lord and Savior. Thank you for dying for me and saving me. Amen. The last ferry returning to Port Aransas leaves at 6pm. If you miss it, you miss the last ride home!